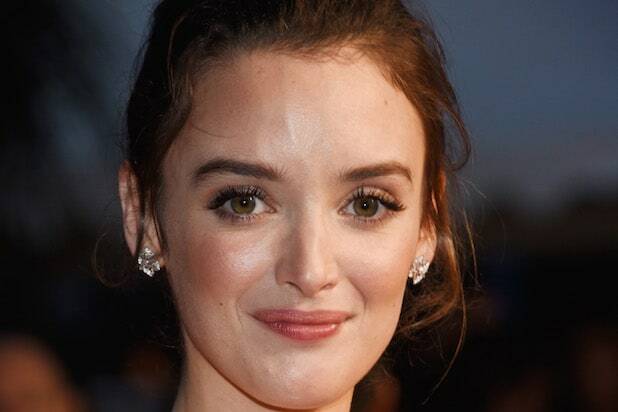 Fresh off working with Joseph Gordon-Levitt on Robert Zemeckis‘ “The Walk,” French-Canadian actress Charlotte Le Bon has landed the female lead alongside Christian Bale and Oscar Isaac in the epic love story “The Promise,” TheWrap has learned. Oscar-winning filmmaker Terry George (“Hotel Rwanda”) will direct from a script he co-wrote with Robin Swicord (“Memoirs of a Geisha”). Set during the last days of the Ottoman Empire, “The Promise” follows a love triangle between brilliant medical student Michael (Isaac), the beautiful and sophisticated Ana (Le Bon), and Paris-based American journalist Chris (Bale). The film deals with the Armenian Genocide of 1915, which resulted in an estimated death toll of between 800,000 and 1.5 million people and the fall of the Ottoman Empire. Le Bon starred in Lasse Hallstrom‘s DreamWorks movie “The Hundred-Foot Journey” and Michel Gondry‘s “Mood Indigo” before landing the female lead in “The Walk,” which finds Gordon-Levitt playing famed tightrope walker Philippe Petit. The film opens in 3D and IMAX 3D on Sept. 30. The former model recently wrapped “Bastille Day” with Idris Elba and has been filming Sean Ellis’ historical thriller “Anthropoid” with Jamie Dornan and Cillian Murphy. She’s represented by UTA and Agence Adequat.